It’s your wedding day—a magical occasion filled with sweet moments, romantic words and new beginnings. Preserve every precious memory so you can treasure them forever. At Jesse Valley Photography, we are honored when couples ask us to record one of the most important and intimate days of their lives. With our attention to detail, no lush bouquet, loving glance or twirl on the dance floor escapes our lenses. We cater to those who value photography as an art and to those who prefer a timeless quality to their photographs. To learn why our clients love working with us, click here. Jesse Valley Photography offers our wedding clients full wedding coverage, rehearsal dinner coverage, custom designed albums, professional prints and wall portraits, engagement portraits and more. How much do your photography services cost? Packages are an incredible value and start at $2,500 including two photographers and a custom designed album. Yes. 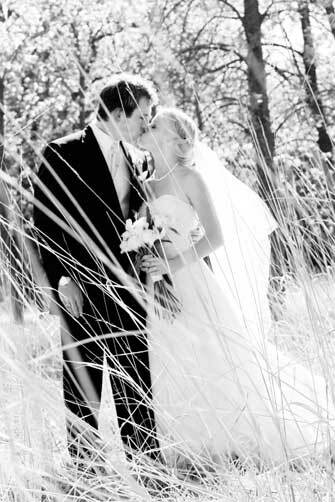 Your wedding is a very important day and we believe you should have a copy of your images to archive. To learn more about wedding services from Jesse Valley Photography, please call and set up a complimentary wedding consultation. Call 612-382-2867.